Counties may sell real property at auction for delinquent taxes. Purchasers pay the delinquent taxes in exchange for a tax sale certificate. After three years, if the property owner has not paid the taxes and any accrued interest, the certificate purchaser may apply for a treasurer’s tax deed to acquire the property. 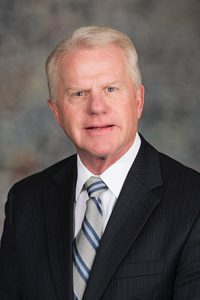 Gothenburg Sen. Matt Williams, sponsor of LB463, said the tax sale certificate process is important for counties because it creates a “significant incentive” for people to pay their property taxes. In some cases, however, property owners do not receive adequate notice that they could lose their property if they do not act, Williams said. LB463 would strengthen notice requirements by ensuring that tax sale certificate purchasers make multiple attempts to notify those who occupy the property as well as those listed on the property’s title, he said. Finally, Williams said, LB463 would require a “checklist” of documents that a tax sale certificate purchaser must provide before a county treasurer issues a tax deed, including the tax sale certificate, the applicable affidavit proving notice and a copy of the title search. Jean Sidwell, Buffalo County treasurer, testified in support of the bill, saying that it would help county treasurers navigate the tax sale certificate and tax deed process. The enhanced notice requirements would allow treasurers to determine whether an owner received proper notice, she said, and the checklist would help them verify that a tax sale certificate purchaser has met all legal requirements before issuing a tax deed. Lindsay Brinson of Eagle also testified in support of the bill, saying investment companies are reaping large profits by taking advantage of unclear notice requirements in the current law. Without her knowledge, Brinson said, an investment company purchased a tax sale certificate on her property in 2014 and paid the property taxes on it for the next three years before foreclosing without her receiving proper notice. Brinson said she eventually reached an agreement with the company to buy back her home for approximately $100,000. The company paid only $16,000 in back taxes, she said. Caitlin Cedfeldt of Legal Aid of Nebraska gave neutral testimony on the bill. LB463 would not change the current requirement that a homeowner be notified of his or her right to redeem a tax sale certificate until three years after the sale, she said. During that time, Cedfeldt said, the investor is paying subsequent taxes on the property and accruing interest at a rate of 14 percent. “Notice ought to be given much earlier in the process, more often, and it should be in plain English,” she said.